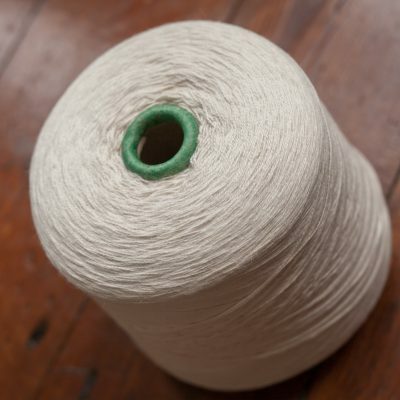 This pure reeled mulberry silk has a brilliant shine and is a true, clear white, perfect for dyeing. Bombyx silk worms eat a diet of white mulberry leaves and spin cocoons of the most lustrous, smooth silk in the world. When the cocoons go through processing, the silk is reeled off in continuous filaments. 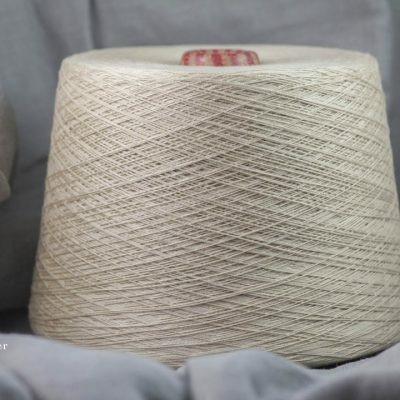 The silk thread, is so fine it can just be seen with the naked eye, and many, many filaments are spun together to create yarns of various weights. 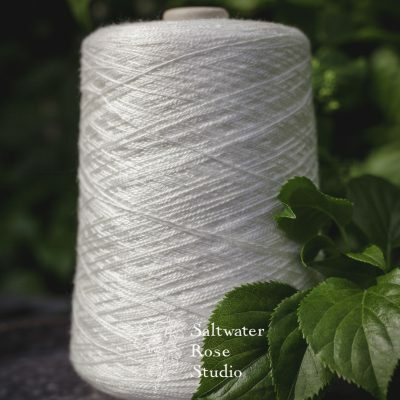 The difference between reeled silk is that reeled undergoes the degumming process, to remove the gummy outer coating of sericin protein that surrounds the silk filament. What is left is magic. 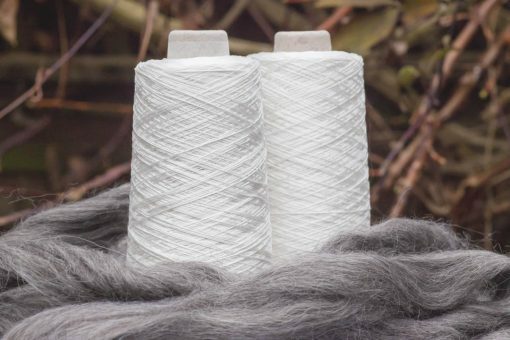 This yarn is 20/22Dx19x3 yarn count, that’s an equivalent thickness to 15/2nm or 9/2ne. It comes on 200g cones, approximately 1880m of yarn per cone. Please see here for more information about reeled silk yarn.